Undivided Punjab’s martial history and cultural heritage is chronicled in many forts that dot various parts of the state. Luckily, most of those who have inherited these stellar monuments are strong willed to preserve these heritage buildings. Gurjitinder Singh Virk (64) runs a fish farm at Sri Chamkaur Sahib. "The only unaccomplished task I have in my life is to resurrect the Kandhola Fort, which was bequeathed to me. The fort is in a state of dilapidation. I have got the blueprints ready, on how to reconstruct this majestic old structure. I would be using the same ‘Nanakshahi brick’, which was used in the original structure," informs Gurjitinder. 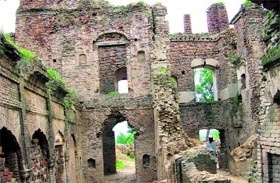 Kandhola Fort is spread over one acre and the reconstruction would cost nearly Rs 6 crore. To maintain these forts in their puritanical form is a Herculean task. But it also gives an insight to the coming generations about the life and times of their forefathers. "I have maintained the structure in its original form. Even the wallpapers remain the same as when my grandfather renovated it in 1940. I have also preserved the Gobelin tapestries and cabinets from Doge’s Palace in Venice. You can find these only here or in some old British mansions in England. I have maintained the same lifestyle and use the same old silverware belonging to my grandfather in which the tea is still served, and even the distinct style with which the food is served and table is laid, still continues. 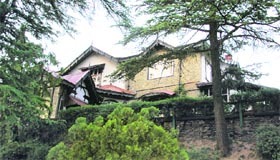 This continuance of the old royal lifestyle is the intangible heritage which I have preserved and passed on to my son and grandson," says a beaming Kanwar Ratanjit Singh of Chapslee House, Shimla, which was the summer residence of Maharaja of Kapurthala. With many original owners still residing in forts, many of which are away from the urban landscape and culture, life can be a bit secluded and monotonous. There are no neighbours around. Even the urban centres are far away and to commute everyday can be cumbersome. "I was born and brought up in Chandigarh. After marriage, I had to live in the Bharatgarh fort where my in-laws resided. It was a cultural shock for me. At times, loneliness used to catch up. But I adjusted and now I feel proud of myself, since I am preserving a legacy with my family," expresses Maninder Kaur who is married to a descendent of Singhpuria Misl and owner of Bharatgarh Fort, near Anandpur Sahib. These forts have special significance in their family folklore also. "We have the samadhs of all our ancestors right on the entrance of our fort. On Diwali we light candles on these samadhs. All our family marriages also take place in the fort only. We take pride in calling ourselves as the Kathgarh family," says Rajpal Singh Mahal (87), oldest member of the Kathgarh family. This fort is near Nawanshahr. The maintenance of these forts takes quite a toll on the finances of the owners. But some enterprising minds have converted their property into heritage stays so that these properties become sustainable. "These forts as such are white elephants. It is easier to maintain a new structure with similar dimensions, rather than maintaining these ancient structures. Since the size is very big, it becomes a bit easy to encash the vacant area and convert them into heritage stays so that they become self sustainable," adds Amar Chandel, who has converted his Ramgarh Fort into a heritage hotel. On the issue of commercialising the heritage properties Kanwar Ratanjit Singh of Chapslee has an interesting anecdote, "When I shifted to Chapslee House in the early 1970s, we started a school there. To fund the expenses of the school, I was toying with the idea of converting Chapslee House into a guesthouse. Then a friend of mine gifted me a book, written by Lord Bedford, titled How to be a snob? He wrote that if the royalty opens up their residences, the commoners will have a privilege to see these residences and they will even pay for it. I, too, opened up Chapslee Palace for people. Now people come to see Chapslee House for which they pay me," informs Kanwar Ratanjit. This concept of having a brush with the royalty and enjoying a stay in the environs of these forts has gone down very well with the public at large. Most of these forts have some customs and traditions, endemic to them. 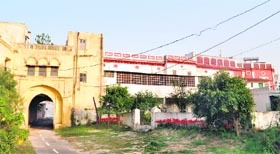 For example, the Ramgarh royal family is of strict vegetarians and the same trend continues in their heritage stay also. Most of these heritage stays or resorts are individual efforts by the owners. A light push from the state government can make these heritage stays a hit with tourists. If these heritage stays are promoted at a national level — as is being done in Rajasthan and even in some European nations, who are promoting their castles. Since the maintenance of these properties a costly affair, doesn’t it make sense to dispose them off? `A0"This is my heritage. It is priceless. I cannot even put a price on it,’ observes Kanwar Ratanjit. "These ancient structures are the hallmark of our existence. 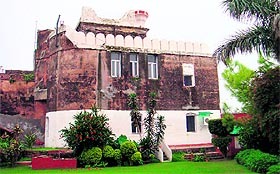 I am the ninth successive generation living in this fort, I cannot even think of selling it up," winds up Deepinder Singh of Bharatgarh, with pride in his eyes.